AIEMA (Ambattur Industrial Estate Manufacturers Association) was started in the year 1963 to represent the interest of industrial units of Ambattur Industrial Estate. AIEMA today has grown to 800 plus active members and represents a vast majority of the small-scale industries fraternity of the Ambattur Estate. Over the years, AIEMA has gained widespread reputation for its dynamic functioning and is well respected by governmental organizations and the media. The association liaises with the Government, Statutory Bodies, Financial Institutions, other similar associations and works for the business promotion of its members. AIEMA has contributed in great measure towards the harmonious development of the Ambattur Industrial Estate over the years. 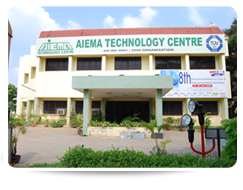 AIEMA created a technology wing called AIEMA Technology Centre in the year 1983 to facilitate technology up gradation of its members. 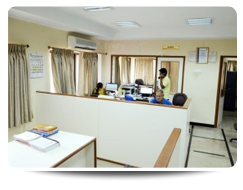 Today ATC is the hub of all our member activities ranging from training programs, CNC training facilities, business library and conference halls facility to name a few. ATC can boast of a building with top class infrastructure and amenities available for business promotion and up gradation. The Industrial Estate sprawls over 473 hectares with more than 2000 active Tiny, Small and Medium Scale Units. It is one of the largest in Asia. The estimated 2,00,000 work force among whom about 60,000 women workers contribute to a turnover of over Rs.2,500 crores. The diverse range of products offered by its members truly reflects the entire range of industries from automobile to software Quality Policy. AIEMA is committed to provide Quality Leadership and advocacy related services for its members. Evolving and delivering services in partnership with members and like-minded Agencies . Contributing positively to the changing needs of the associates and members and the internal & external environment. By adopting best practices in association activities. AIEMA is committed to comply with the members and obligatory requirements. Continually improve QMS & organizational effectiveness through total involvement of the Elected Board, Staff and its members.